As mentioned in my last post, we visited the Royal Cornwall Show this Year and true to type 'him that does' made a beeline for the Sit on Lawnmower stands. We were looking to replace our current mower, which has struggled to cope with the 1.5 acre gardens. The lawns now look beautifully manicured - perfect for guests to use when seated on benches or swing seats, relaxing over a glass or two of something chilled ! The Badgers Sett garden is family friendly with outside games such as Swing ball, Croquet and Badminton provided for our little guests (and adults) to enjoy. 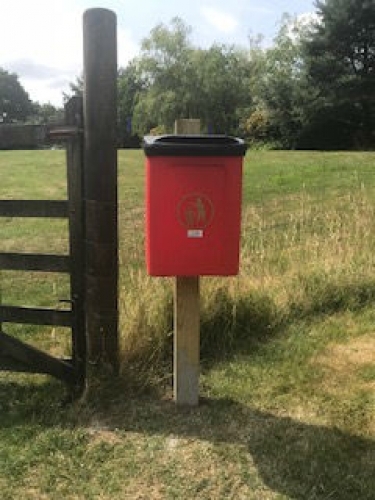 One recent addition is a waste bin for dog poop bags, which is located to the side of the farm gate near the entrance to the garden and has been installed for our guests bringing their family dog on holiday with them to dispose of poop bags with ease. We have both been busy as ever with making additional improvements to our lovely cottages. One simple and effective brainwave from Him that Does was to remove a lower section of the bannister in Lavender, making the lounge and kitchen diner on the ground floor instantly 'flow' more effectively, it looks more spacious and stylish too ! Guests can now walk from the back of the lounge straight into the kitchen/diner area, returning to the front entrance lobby without the obstacle of a bulky bannister rail preventing them from doing so ! The cottage kitchens have benefited from new additions in recent months - there are Nespresso coffee machines for freshly brewed coffees, and most of the appliances have now been replaced with newer, brighter versions. 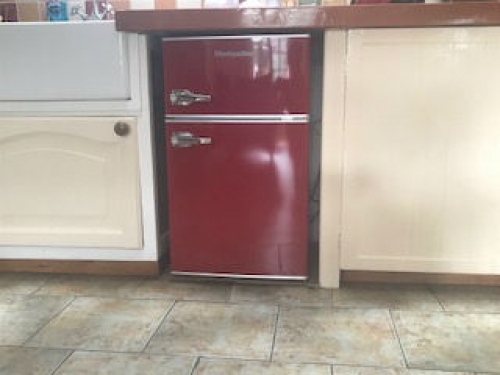 A recent addition to all of the cottages are the bright and funky fridges with their own separate freezer compartments. Thyme has the cream, Lavender has Dark Blue and Rosemary the Red.... you get the picture. Each cottage generally now has appliances in keeping with their namesakes, creating a modern twist with occasional pops of colour, complementing their pretty and characterful interiors for our Guests to enjoy whilst staying at Badgers Sett Holiday Cottages. We have however occasionally managed a break away from upgrading the cottages, to spend time at some of the gorgeous sandy beaches nearby, just a short drive away from Badgers Sett Holiday Cottages. We are very fortunate to be in a central location, so guests can easily reach the Cornish Coastline with ease. One of our favourite beaches is in Polzeath on the north coast - it caters for the whole family, with a wide soft sandy beach and plentiful ice-cream shops keeping the kids happy, and varied beachside cafes and restaurants, some with outside patios offering stunning views of the Bay. There are also some rather natty little shops to investigate should you feel the need to leave your sun bed for a while ! 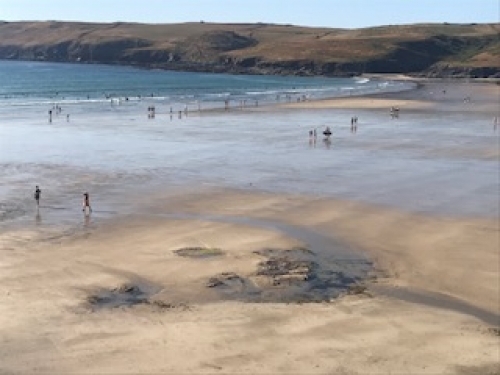 Daymar Bay, a favourite with the royals, is just up the road from Polzeath and is Dog-Friendly at all times, just perfect if you have a family pooch to consider too ! 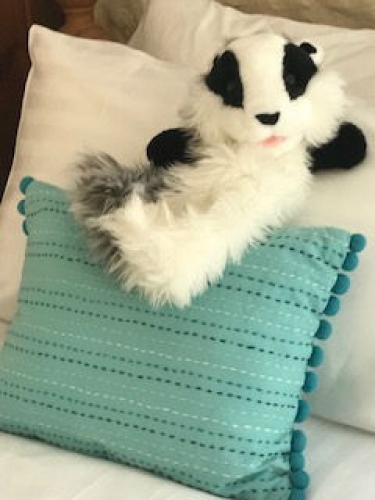 We have a new addition to the Badgers Sett Family in the form of a young mascot a Badger called 'Billy'. Billy lives here at the cottages and is hoping to get out and about with guests while they're staying with us. Billy has started his own blog on the Badgers Sett Website, where he will enjoy telling other little peeps about his recent adventures - you can read his first entry here. Great news ! 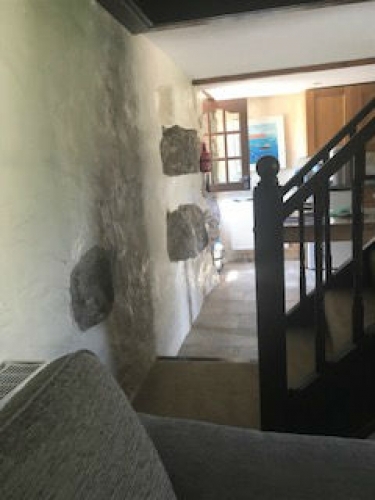 It looks as though the hot and sunny weather is going to continue for a while, why not make the most of the Summer and book some time away with us at Badgers Sett Holiday Cottages ? Check the latest availability here and complete the online Booking Form, Job Done :) You can then look forward to relaxing in one our family friendly and spacious cottages for a few days ! Autumn Breaks at Badgers are lovely too, the weather is generally still mild and with the school holidays over it's a great time for guests to enjoy the tranquil and peaceful surrounding countryside. PS We are now taking bookings for 2019 so if you would like to start looking forward to your holiday now, book today and get the property and dates of your choice. Enjoy the Summer and we look forward to welcoming you to Badgers Sett Holiday Cottages for a relaxing holiday sometime soon !